The traditional centralized model of linear power generation and delivery through limited market monopoly conditions is giving way to a more diverse, dynamic and complex system. As a Director of Strategy and Marketing for the United States Center of Competence for Distributed Energy Systems (DES), Lidija is supporting a team dedicated to helping public and private sector companies make smart, sustainable investments in distributed energy systems. Lidija provides strategic direction for Siemens business units on the topic of DES with strong focus on photovoltaic (PV), energy storage, and advanced control systems. She participates in member organizations presenting Siemens position and expertise on the broad topics encompassing distributed energy. She provides executive-level business development support and business and regulatory research and competitor analysis. Prior to joining Siemens Lidija served at the U.S. Department of Energy (DOE) where she managed a portfolio across renewable technologies for integrated grid approaches, aligning activities and priorities across multiple offices and DOE-wide initiatives. Her experience includes serving as the Director of the Solar Energy Technologies Office (SunShot Initiative) within the DOE where she led the near and long- term solar program strategy, implemented improvements in grant management processes and engaged stakeholders from industrial, financial and research community to White House, Congress and other governmental agencies. Lidija has 15 years of strategic experience, technical knowledge and high achievements in energy and semiconductor industry in addition to the federal government, with expertise in domestic and international energy policy. She holds a Ph.D. and M.S. in Applied Physics from Cornell University, an A.B. in Physics from Bryn Mawr College and has served at the Executive Committee level on both the International Energy Agency (IEA) and the American Physical Society. Lidija holds 30 US patents. Katherine Hamilton is chair of 38 North Solutions, a public policy consultancy specializing in clean energy and innovation. Her firm manages a non-profit organization, Project for Clean Energy and Innovation. Ms. Hamilton is also a co-host of The Energy Gang podcast through Greentech Media, serves on the Board of GRID Alternatives Mid-Atlantic, and is co-chair of the World Economic Forum’s Global Future Council on Advanced Energy Technology. Previously, she ran the GridWise Alliance, was policy director to the Energy Storage Association, and served as an advisor for Good Energies, a private equity company with a clean energy portfolio. Ms. Hamilton directed American Bioenergy Association, developing renewable portfolio standards in states’ legislatures, including Maryland and New Jersey. She spent a decade at an investor-owned utility, designing electrical systems for commercial and residential developments. Ms. Hamilton was appointed Ambassador to the Secretary of Energy’s C3E Program under the Clean Energy Ministerial. At the National Renewable Energy Laboratory (NREL), she worked in buildings research and government relations. Ms. Hamilton holds degrees from Cornell University and the Sorbonne. As the Global Product Supply Sustainability Leader at P&G, James McCall leads the adoption and acceleration of circular manufacturing processes across the end-to-end supply chain. In his current role, he is responsible for ensuring P&G’s more than 150+ facilities around the world reduce their environmental footprint within energy, climate, water, waste and transportation. James has more than 20 years of experience across engineering, manufacturing and business development at P&G including roles within Family Care (Bounty/Charmin), Pet Care (Iams/Eukanuba) and Connect & Develop (open innovation/external partnerships). One of his recent contribution to the Company’s environmental goals was leading the startup of the $200MM+ Albany Biomass combined heat and power facility that is P&G largest renewable energy partnership to date. James received his BS in Electrical Engineering from North Carolina State University and lives outside Charlotte, NC with his wife and two children. Kristi Swartz is a reporter with Energywire based in Atlanta. She joined the company in 2014 and has written about utility and energy topics in the Southeast, including the region’s transition away from coal to natural gas and the sporadic growth of renewable energy, particularly solar. Other areas of focus include state regulatory policy and nuclear power. Before joining E&E News, Ms. Swartz was a business reporter at The Atlanta Journal-Constitution and covered utilities and energy for The Palm Beach Post. She also worked at newspapers in North Carolina. She graduated from the University of Maryland in 1998 with a degree in journalism. John Hardin is the Executive Director for the North Carolina Board of Science, Technology & Innovation, which is staffed by Office of Science, Technology & Innovation in the North Carolina Department of Commerce. He was appointed Acting Director in spring 2008 and Executive Director in fall 2009. From 2003 to 2008, he served as the Board's Deputy Director and Chief Policy Analyst. The Board advises and makes recommendations to the North Carolina Governor, General Assembly, Secretary of Commerce, and the Economic Development Partnership of North Carolina on the role of science, technology and innovation in the economic growth and development of the state. Hardin’s duties include developing and justifying legislation related to defining statewide research capacity and structure; implementing science, technology and innovation-related economic development policy and resource allocations; research, analysis, and review of substantive policy issues and proposals; preparing public policy and budget analyses; preparing and presenting high-level state policy briefings, assessments, and reports to policy makers and external constituencies; conducting strategic planning and making recommendations for technology-based economic development; directing and overseeing strategic initiatives with impact at the state level; and overseeing the administration of grant programs to support technology commercialization by North Carolina small businesses. A native of Tulsa, Oklahoma, Hardin holds the M.A. and Ph.D. degrees in political science from UNC-Chapel Hill, a B.A. in economics from Baylor University, and a certificate of completion for the Leadership Decision Making program, Harvard University, John F. Kennedy School of Government. In this role, she manages the company’s presence in all North Carolina regulatory matters before the North Carolina Utilities Commission (NCUC). She provides leadership on regulatory strategic plans and technical direction on regulatory policy for North Carolina. In addition, she serves as the company’s regulatory policy witness in proceedings before the NCUC. Previously, Bowman served as deputy general counsel for Duke Energy, managing all legal state regulatory functions for North Carolina. Prior to that, she was associate general counsel for Progress Energy, supporting all state regulatory functions for North Carolina and South Carolina. Bowman also spent a decade leading the federal regulatory affairs group and was responsible for all Federal Energy Regulatory Commission (FERC), legal, policy and compliance matters for Progress Energy Carolinas and Progress Energy Florida. Bowman has been with the company since 1999. Prior to joining Progress Energy, she was an attorney for Florida Power Corporation. Bowman currently serves on the board of directors for Advanced Energy Corporation and has served since 2014. She served on the board of directors for the Greater Carolinas National Multiple Sclerosis Society from 2005 to 2016. Bowman is an alumna of Leadership North Carolina class of 2015 and the University of North Carolina at Chapel Hill Kenan-Flagler Business School Leadership Development Program. In 2016, Bowman received the James B. Duke Award, Duke Energy’s highest employee award for service to the company and community. She serves as the executive sponsor of Duke Energy’s Business Women’s Network chapter in Raleigh, N.C.
A native of Clarksville, Va., Bowman earned a Bachelor of Arts degree in psychology from the University of Virginia and a Juris Doctor from Stetson University College of Law. She is admitted to the state bars of North Carolina and Florida. 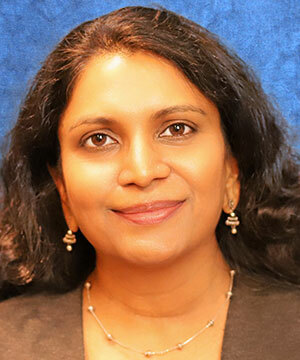 Sushma Masemore has 28 years of federal, state, and industrial experience in air pollution engineering and energy systems. She began her career designing process control equipment and moved to environmental consulting where she collaborated with businesses, technology developers, and energy companies to deploy promising environmental technologies. At the State Energy Office, Sushma oversees programs related to weatherization assistance, energy planning, and energy efficiency. Sushma is also leading implementation of Governor Cooper’s Executive Order on climate change and clean energy economy by bringing clean energy solutions and sustainable practices to North Carolina businesses, citizens, and government operations. Sushma has a B.S. in Chemical Engineering from University of Maryland Baltimore County, and is a licensed Professional Engineer in NC. Scott Tew is the founder of the Center for Energy Efficiency & Sustainability at Ingersoll Rand (CEES) which supports all of the company’s strategic brands — Club Car, Ingersoll Rand, Trane and Thermo King — and is responsible for forward-looking sustainability initiatives aimed at transitioning to more efficient and climate-friendly solutions, and minimizing resource use within company facilities. In addition, Tew serves as a thought leader in linking public policy, economic impacts and a value-stream approach to sustainability. His recent efforts have led to the development of world-class initiatives including introduction of the company’s comprehensive triple-bottom-line targets, the creation of the EcoWiseTM product portfolio, industry-leading public commitment to combat climate change at the UN Climate Summit; and as a pioneer in integrated reporting. Ingersoll Rand received the 2018 Best Environmental Stewardship Award from the US Chamber Foundation, obtained a perfect score on the global Corporate Equality Index and is the only industrial company to be listed to both the World and North America Dow Jones Sustainability Indexes for the past 8 years. Prior to this role, he led high profile programs to advocate for energy efficiency, green buildings and global greenhouse gas emissions standards and policies. Tew holds graduate and undergraduate degrees in environmental science and ecology from Livingston University. He plays key roles in several important groups including: the World Environment Center; the Alliance to Save Energy; the Global Sustainability Centre (Europe); TERI Council for Business Sustainability (India); the US Business Council for Sustainable Development (USBCSD); and the Advanced Energy Economy (AEE). In addition, he is a member of the North Carolina Energy Policy Council and was recently named North Carolina Industry Leader of the Year in Energy by Charlotte Business Journal and is the recipient of the “Leading the Way” award in CSR by Corporate Responsibility Magazine. He is the author of myriad white papers related to energy efficiency and sustainable practices and contributed to the recently released book, Practicing Sustainability, by Springer Publishing. Stephen S. Kalland, Executive Director of the Center, has over 22 years of experience in the renewable energy and energy efficiency fields. Steve directs the strategic vision of the Center and its programs, including programs ranging from technical assistance to economic development, public policy, and workforce development. Mr. Kalland currently serves on the Board of Directors of the N.C. Sustainable Energy Association (NCSEA) and is a past board member of the Interstate Renewable Energy Council (IREC), N.C. GreenPower, and the U.S. Combined Heat and Power Association (USCHPA). He is also on the Advisory Boards of the Research Triangle CleanTech Cluster (RTCC) and the Environmental and Energy Study Institute (EESI), based in Washington, DC. Previously, Steve served as project manager with McNeil Technologies, Inc. of Springfield, VA and as the director for Government Relations and Grid-Tied Markets at Xantrex Technology, Inc. (formerly Trace Engineering, now part of Schneider Electric). Steve is a former executive director of the Maryland-DC-Virginia Solar Energy Industries Association (MDV-SEIA), the regional chapter of the national Solar Energy Industries Association (SEIA). Before that, he was the director of State Programs and Policy Analysis at the national SEIA. Steve graduated in 1991 from the College of William and Mary in Virginia and in 1993 he received a Master of Science in Public Policy Analysis from the University of Rochester (NY). Director, Energy Services for Walmart Inc.
Steve is responsible for managing Walmart’s regulatory and legislative cost exposure from changes in electric and natural gas rates, interventions in utility proceedings, pricing analyses, and renewable opportunities behind regulated utilities. Since 2007, he has managed interventions in over 400 regulatory dockets. Steve also serves as a witness on behalf of Walmart and in his career has testified in over 190 rate and policy dockets in 39 states and on legislative matters in two states. Prior to joining Walmart, Steve was an Economist and later Senior Utility Analyst for the Oregon Public Utility Commission from 2003 to 2007. From 2001 to 2003, Steve worked as an Analyst on domestic and international energy regulatory projects for Econ One Research, Inc., an energy and economics consulting firm. Steve received a M.S. in Agricultural Economics from Louisiana State University in 2001 and a B.S. in Agricultural Development and a B.S. in Horticulture from Texas A&M University in 1997. He also completed coursework in Agricultural Education and Communication at the University of Florida. Stephen is responsible for the financial performance of Duke Energy’s regulated utilities in North Carolina and managing state and local regulatory and government relations, and community affairs. He also has responsibility for advancing the company’s rate and regulatory initiatives, water strategy, hydroelectric licensing and lake services. He assumed his current position in November 2018. De May previously served as senior vice president, tax and treasurer for Duke Energy. As treasurer, he was responsible for financing and capital markets activities, liability management, liquidity and cash management, long-term investments and managing Duke Energy’s relationships with the major credit rating agencies. As head of tax, he was responsible for federal, state, local and international tax compliance, audits, research, structuring and tax planning, property tax, income tax accounting, tax information systems and Sarbanes-Oxley compliance with respect to tax matters. He has also led the investor relations function, where he monitored trends in the investment markets and maintained key relationships with debt and equity investors, analysts and financial institutions. Stephen joined Duke Energy in 1990 as a director of the company’s former real estate development business, Crescent Resources, where he had responsibility for managing the finance and accounting functions. Before joining Duke Energy, Stephen worked in the tax practices of Deloitte & Touche and Price Waterhouse in Raleigh and Charlotte. In 1994, he joined Duke Energy’s corporate finance group and managed that function after the Duke Energy/PanEnergy merger until stepping into the leadership role of the business unit finance group. In business unit finance, Stephen financed the growth of Duke Energy’s many lines of gas and electric businesses across an international footprint that included North and South America, Australia and Europe. During 2004 and 2005, he served as vice president of energy and environmental policy, the company’s primary public policy role, where he led position development and advocacy for the leading energy issues of that time. Stephen was named assistant treasurer after the Duke/Cinergy merger in 2006 and treasurer in 2007. He was treasurer for 11 years and, at various times, he also led the risk management, investor relations and corporate tax functions. Stephen graduated from the University of North Carolina at Chapel Hill with a Bachelor of Arts degree in political science and a Master of Business Administration degree from the McColl Graduate School of Business at Queens University of Charlotte. He is a certified public accountant in North Carolina. In 2010, he completed the Advanced Management Program at the Wharton School of the University of Pennsylvania. Kim serves as an Assistant City Manager for the City of Charlotte. She is responsible for operational initiatives including the implementation of the City’s Strategic Energy Action Plan and overseeing the City’s participation in the American Cities Climate Challenge. She is also responsible for serving the Council’s Environment Committee. Kim serves as Charlotte’s designated point person to the cross-sector, collaborative effort to align and coordinate services for victims of domestic violence and serves on the Family Justice Center Steering Committee. Prior to being appointed Assistant City Manager, Kim most recently served as the City’s Director of the Office of Strategy & Budget and Senior Operations Advisor. She was responsible for the development and oversight of the City’s annual operating budget and five-year community investment plan. As the Deputy Director of Charlotte Water, Kim managed and coordinated the business support and administrative side of the water/sewer operation. Leading up to this position, Dr. Eagle worked for eight years in the City of Charlotte Budget and Evaluation Department as the Evaluation Manager where she managed the City’s strategic planning efforts including the Balanced Scorecard. She also served for eight years in several roles within Charlotte’s Utility Department, including Assistant Business Manager. Kim joined the City of Charlotte in 1995. She earned her doctorate in Public Administration from the Center for Public Administration and Policy at Virginia Tech. She also holds a Master’s degree in Public Administration and an Education Specialist degree, both from Appalachian State University, and a Bachelor of Arts degree from Wingate University. Dr. Eagle has taught several graduate courses in Public Administration, published articles on administrative reform and performance measurement, and has led numerous workshops on strategic planning both at the local level and in conjunction with local governments and universities in Trinidad and Sweden. DeAndrea Salvador has brought recognition to the issue of high energy burdens locally, nationally, and globally through her nonprofit, the Renewable Energy Transition Initiative (RETI). RETI works to reduce energy costs for individuals and families with high energy burdens by gaining access to cutting-edge technology. Through RETI, Salvador is partnering with Duke Energy to provide education and outreach for their low- to the moderate-income shared solar program throughout South Carolina territories. RETI is also working with the City of Charlotte, Duke Energy, and Amazon to implement a Smart Home Kick Start for the city's residents. In January 2018, she was selected as a TED 2018 Fellow—an honor earned by only 20 people worldwide. Additionally, she was featured as an AACSB—the world’s largest business education alliance 2019 influential business leader and serves on the board of several regional environmental organizations such as the North Carolina Sustainability Association and Clean Air Carolina.